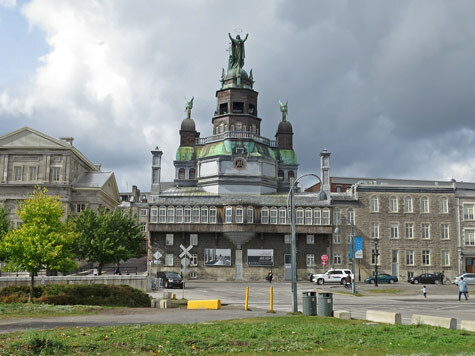 The Marguerite Bourgeoys Museum and Notre-Dame de Bon Secours Chapel is an attractive structure in Old Montreal. The 18th century chapel is also called the Sailor's church due to its proximity to the Old Port. It is Montreal's oldest chapel. Don't miss the archaeological site and its artifacts. Some of the pieces date back 2,400 years. Visitors can climb the church tower and enjoy a spectacular view of Old Montreal and the St. Lawrence River. The Marguerite Bourgeoys Museum is located at 400 Saint-Paul Street East in Old Montreal.